In this second article in our year end series, we look at some planning around investments and pensions. ISA savings are not taxed when they are withdrawn, but they don’t attract tax relief on the way into the account. Pension scheme savings are taxed when they are withdrawn, with an exception for the first 25% cash lump sum taken. However, contributions into a registered pension fund will attract tax relief at your highest tax rate, subject to the cap imposed by your annual allowance. This annual allowance is nominally set at £40,000, which covers contributions made by you and by your employer on your behalf. Any annual allowance not used can be carried forward for up to three years. Your annual allowance is also reduced to £4,000 exactly (not tapered down), if you have accessed your taxable pension savings built up in a money purchase (defined contribution) pension scheme. This is to prevent you from drawing funds from your pension scheme and then putting significant money into the same or another pension scheme, with additional tax relief. If you invest above £1 million under the EIS, the additional investment must be in ‘knowledge-intensive’ companies. The amounts invested under EIS, SEIS or SITR can be treated as made in the previous tax year if the investment limit for the earlier year has not been reached. When you dispose of shares acquired under these schemes, any capital gains you realise will be free of Capital Gains Tax (CGT), if you’ve held the investment for at least three years (except VCTs, where there is no minimum period). Tax due on capital gains made from selling other assets can be deferred by reinvesting under the EIS or SITR within three years of making the gain. Reinvesting the gain in SEIS shares will halve the tax on that gain if the investment limits and conditions are not breached. These tax reliefs won’t turn a bad investment into a good one, but they will make a good one better and will reduce the risk involved in investing. There is now another CGT relief for certain unquoted shares. 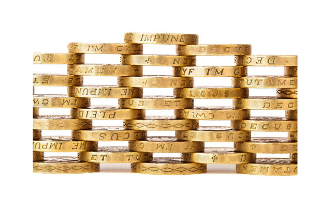 Shares acquired on or after 17 March 2016 that qualify for Investors’ Relief are subject to a 10% rate CGT if they are held for at least three years and disposed of after 5 April 2019 (subject to an overall maximum of £10m of gains). You should take advice from a qualified financial adviser on where to put your money, as well as understanding how it will reduce your tax bill. If you are thinking of investing in one of these schemes, you may want to do so before 6 April 2019 to maximise the benefit. If you are yet to reach State Pension Age (SPA), you will need to have accrued 35 complete years of National Insurance Contributions (NIC) to receive the full state pension. To receive any UK state retirement pension, you need at least ten complete NIC years. You can check how much state pension you are due to receive through your personal tax account on gov.uk. We can help you with this. If you have already paid enough NIC to get the full state pension, you may consider making additional private pension contributions, subject to the level of your earnings, your annual allowance entitlement and your lifetime allowance. Please contact us if you need help. Please contact Mark Wildi or Vinnie Rome if you would like to discuss any of the tax planning points covered in this series, on 01689 877081 or complete our online form.